Italian Tea Party Event cancelled due to threats and intimidation. Below is an email describing the recent events from an Italian Tea Party organizer. I have removed names in the interest of safety, but this is a sad day for Italy. It goes to the heart of the left and how lucky we are to live in America where our rights (to speech and self defense) hinder the brutal tactics of the progressive movement. This is not a partisan statement. The history of the progressive movement has been brutal and violent. The current union threats state," if we can't open their minds, we will open their heads" and "we will use the power of persuasion, and if that does not work we will use the persuasion of power." These people are a threat to human freedom. The left is not kind, it uses peace-based slogans to gain followers and then corrupts them into an evil "ends justify the means" ideology. "hope that this mail finds both you and your family well, ready for the holiday season. I write to inform you of a serious event happened a few hours ago in Messina, a city in Sicily where a local group had organized a Tea Party event. They have received credible and serious threats to themselves and their families. Advised also by the police, they have decided to cancel the event, in order to avoid physical confrontation. I also include the press release in English. If you could spread the news on the Temple of Mut it would be really helpful. We have to let everybody know that what happens here will also happen in the US. Here they are more practical: they have skipped the taunting, the lies and think to solve everything threatening us with physical violence. Beware, friends, sooner or later it'll happen also in the US. Thank you for any help you could give us. God bless you and have a wonderful Christmas. Politics, like many other forms of battle, can be won by many tactics. In the end, the political battle is only as meaningful as the strategy that it pursues. Gaining ground that leaves you exposed elsewhere is a Pyrrhic victory. The famous cliché is that "you have won the battle but lost the war." My fear is that despite some major Tea Party victories, America now faces a shrewd counter attack by our enemies. Yes, our enemies. They are not enemies of the Tea Party, conservatives, Republicans, or even Americans but enemies of human freedom. For far too long, we have allowed the tyrannical fringe to build power in schools, colleges and government. The home of the free and land of the brave is now intimidated, "regulated" and taxed into submission. Most pawns of this movement do not understand what they are moving us toward. They are devolving us toward slavery in the name of "progressivism." More troubling is that many of our allies are taking comfort in our victories instead of moving on to the next battle. Distractions like Wikileaks engulf even the most informed media personalities. All the while, average Americans are now waking up as our Tea Party movement seems to be falling asleep. For the first time in my life, union members and small business owners alike are so worried about the future, that they are getting armed. I do not mean with information. They have no idea who to look toward, and the Tea Party is not to be seen. Our leaderless movement was meant to allow the maximum number of people to join, but it has come at a cost. "Tea Party Leaders" are assigned by the media and through self-proclamation. Most of who are self interested in money or "fame." On television, the majority of pundits are assigned airtime by PR agencies and rarely analytical or political insight is to be found. Comedians and "leg chair" beauties may be entertaining, but they will not condense into a coherent and powerful message. 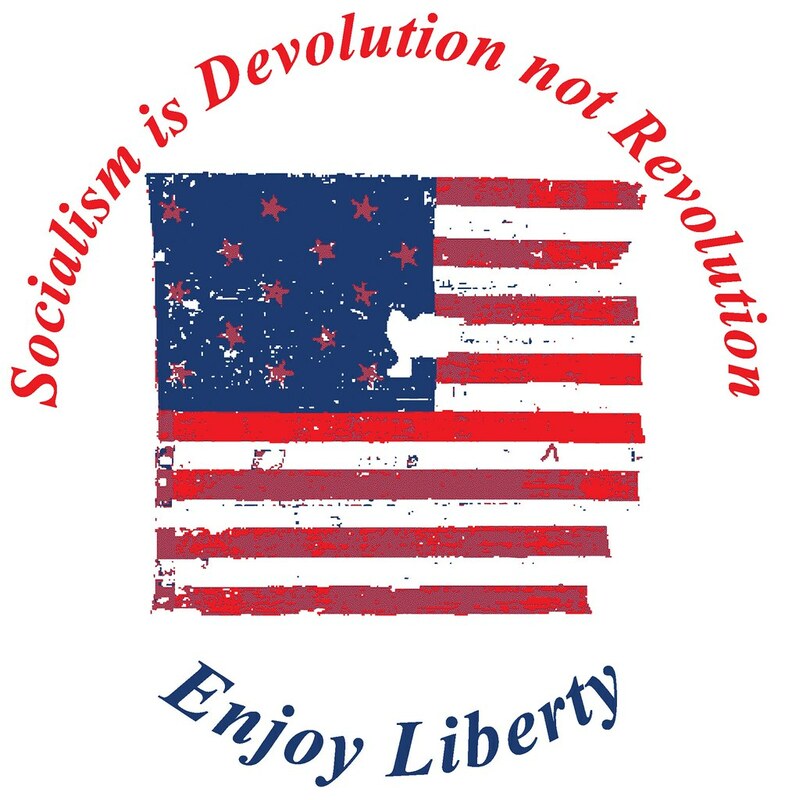 Socialism is Devolution not Revolution. Individual LIBERTY is the highest form of government.